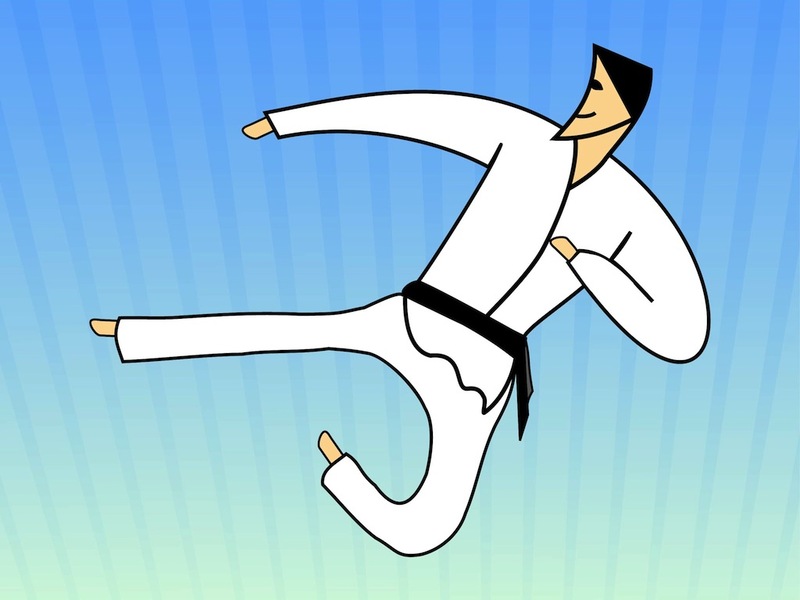 Cartoon style vector illustration of a man practicing karate. Smiling martial arts master with a black belt and typical karate outfit. Free vector illustration for all kinds of sports, workout, keeping fit, safety, self-defense, martial arts and fighting design projects. Happy karate master for logos, icons and stickers. Tags: Cartoon, Fight, Happy, Jump, Karate Vector, Kick, Logo, Martial Arts, Smile.